Applications for Civic lab Year Two are now closed. Teams will be announced in December. Can you envision a future where a commercial corridor in your community is a vibrant place where people can walk, bike, and play? Civic Lab is a regional effort that aims to address issues of regional importance through action at the local level. SACOG works with partner agencies, local experts, national leaders, decision makers, and innovators to find creative solutions to some of the bigger issues facing the region today, and in the future. 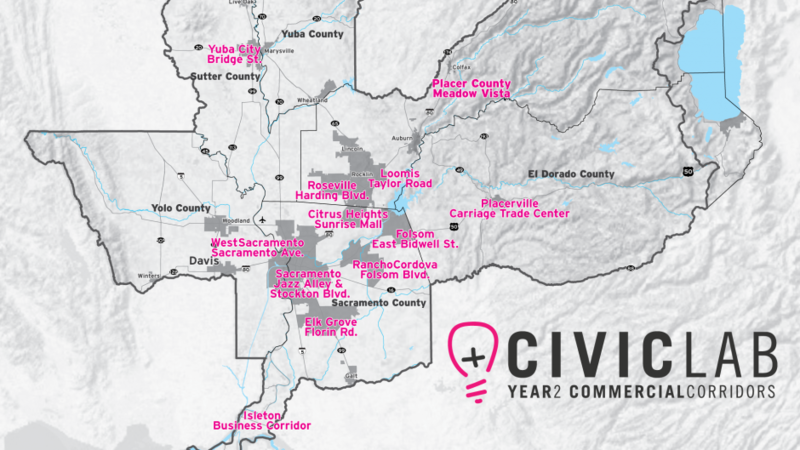 Civic Lab Year two will focus on creating vibrant commercial corridors throughout the region.